Organic gardening is so easy. 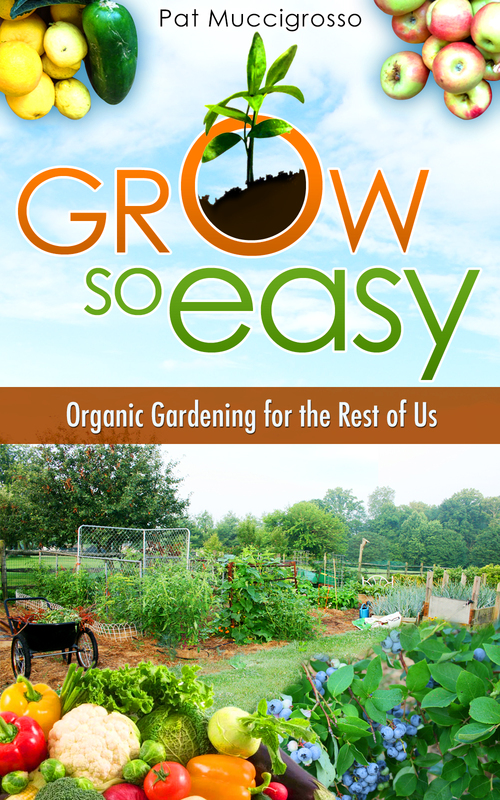 Another week and another free chapter of my organic gardening book, Grow So Easy; Organic Gardening for the Rest of Us! 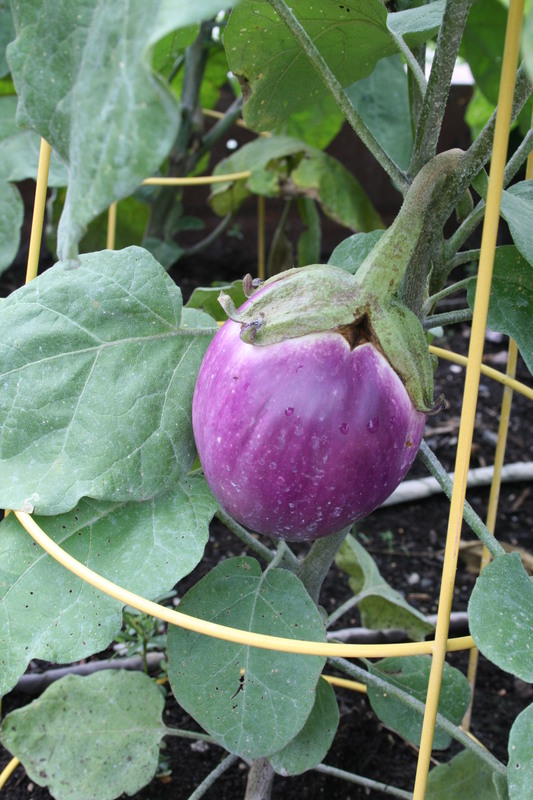 This week I will share some tips and secrets for growing great eggplants! When you think of the most popular vegetables to grow in the back yard, you probably don’t come up with eggplant. In fact, when Mother Earth News did a survey of who was planting what, the most popular homegrown vegetable was the tomato., which was followed by peppers, green beans, cucumbers, onions, lettuce, summer squash, carrots, radishes, and sweet corn. Eggplant didn’t even make the list! Okay, so eggplant is not a favorite with a lot of gardeners but the reason just may be that most gardeners have never had young, sweet flavorful eggplants plucked off their own plants. Instead they’ve tried those large, purple cylinders they buy in the grocery store. I was the same way until I grew a few plants and discovered there is no comparison. There are three tricks to getting full-flavored fruit from an eggplant; buy the right seeds, start the plants early and harvest the eggplant when they’re small. My favorite eggplant is the round, striated one called Bianca Rosa from High Mowing Organic Seeds. This is a Sicilian eggplant with light pink fruits that are streaked with white and violet. The flavor is mild and creamy with no bitterness and a low number of seeds. Growing eggplant is a bit like growing peppers – both like warm summer days. In fact, I think eggplant is even more cold-sensitive. To get eggplant to flower and set fruit, you need warm soil and a long, warm growing season – from 100 to 140 days with temperatures consistently between 70° and 90°. Italian eggplant love sun and heat. 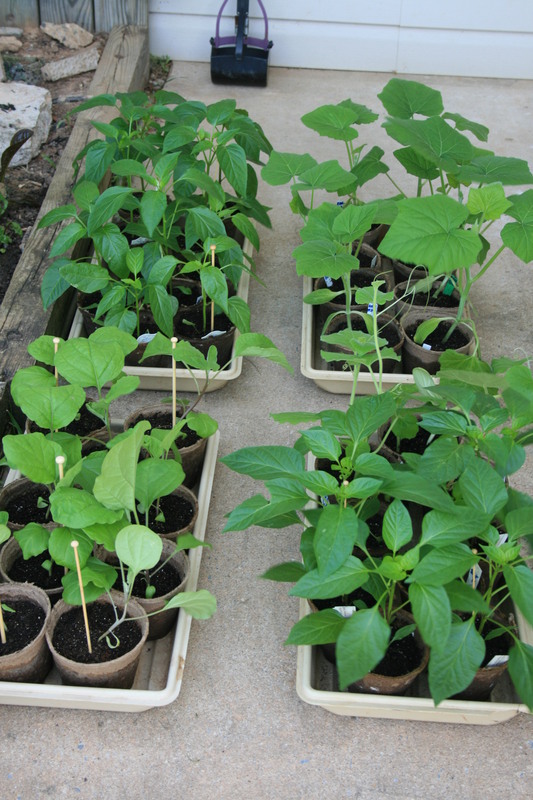 If you want to get healthy eggplant plants you need to start them from seed and very early. By early, I mean at least 10 weeks before my last frost date. Like all my seeds, I start them in cells. I don’t soak them overnight before putting them in the cell but you can to shorten the time to sprouting. Once the eggplant seedlings get their second set of leaves, I transplant them into 2 inch peat pots, raise the tray up off the heating mat (I use two bricks – not high-tech but cheap and easy) and keep them warm. Bianca Rosa and any eggplant for that matter need heat to thrive. When they get to between 4 and 5 inches high, I transplant them again, this time into 4 inch peat pots. Why not go directly from cell to the 4 inch peat pot? Remember, eggplant like warm soil. Take them from warm, moist soil and stick them in cold dirt and they get shocky – I know, I tried. All my eggplant were stunted and fruit came late in the season. So unless I plan far enough ahead to prepare the 4 inch pots and put them over the heat map to warm the soil (that’s unlikely), I just go from cell to 2 inch then 4 inch peat pot. Once they have settled into the new pots and are thriving, I move the trays off the heat mats and onto my lighted plant stand (which I bought used almost 20 years ago and am still using). Eggplant have the same needs as those of bell peppers. Transplants should only be set in the garden after all danger of frost is past. Remember, warm soil, warm air and warm days, lots and lots of all three are what eggplant need to thrive. If your eggplant are happy, they will need more space than you might anticipate. Eggplant should be spaced about 2 feet apart. I don’t plant them in rows, I zigzag them. 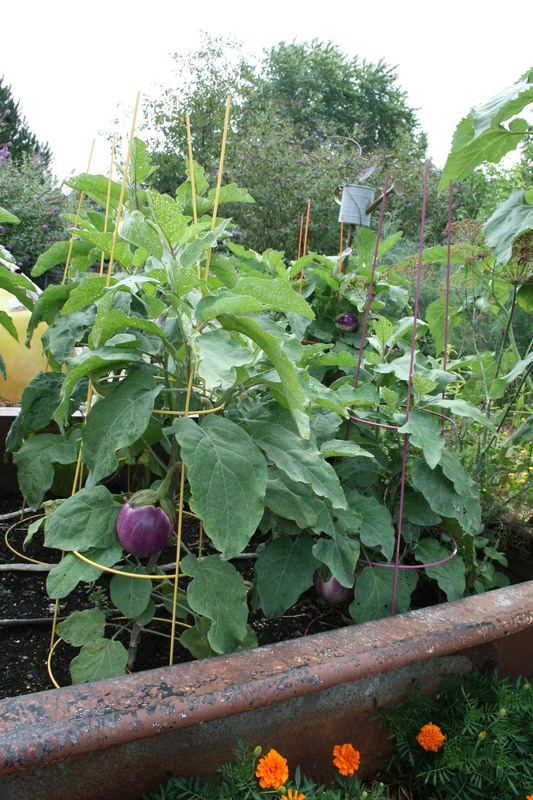 Like pepper plants, eggplant can be pulled over by the size and weight of their own fruit so I use tomato cages for support. Space plants 18 to 24 inches apart in the row and stagger them so you can get 6 to 8 plants in less space. 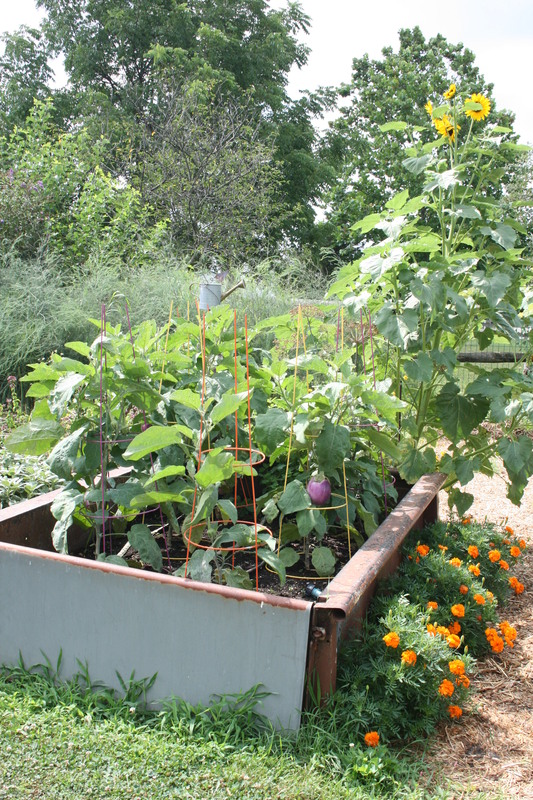 Make sure you leave about 2 to 2/12 feet between rows, especially if you are planting in raised beds like this old truck bed. This way, you can get to the plants and the fruit, easily. Once in the ground, give the transplants a good watering to settle them into the ground. I always mulch eggplant but before I do, I put a ring of composted soil around each plant to feed it. Then I mulch with straw or grass clippings or both to keep the weeds down. You can also use a nitrogen fertilizer if you don’t have any composted soil, feeding the plants when they are half-grown and right after you harvest the first fruits. But being a lazy gardener, I prefer using composted soil. Once the plants are established, eggplant love the heat of the summer. You only have to water if you are in a persistent dry period then wait for those lovely, sweet eggplant to start emerging from each lavender flower. 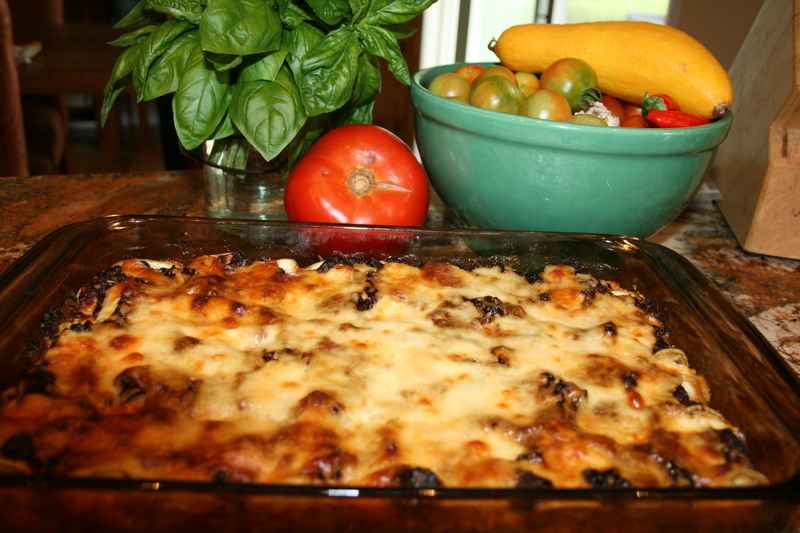 Harvest 3 or 4 of your eggplant, marry them to your own tomatoes and basil and make yourself the most delicious eggplant parmigiana you have ever tasted!